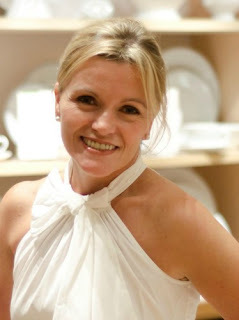 In 2014 I attended Diner en Blanc (click for post) as an attendee, brought in by my friend and fellow blogger Denine Gorniak, The Bicycle Chef, who has attended all 5 years, 4 of them as a table leader. Knowing I would be blogging about the experience, I wanted to make it a little more personal, so I decided I needed someone to design a dress especially for me to wear to #DEBPHL14. Needing to stay within budget, I contacted Drexel University to see if any of their recent grads would be interested and met Amber Cuff, who designed a gorgeous dress which I wore once again this year at #DEBPHL16. That first year I also bought new shoes, accessories, including a clear rain poncho in case of showers, bought the prerequisite size table and chairs, ordered my catered meal, a shopping cart to transport everything and took a day off from work, since that year I was commuting to & from Chesterbrook and traffic was always horrendous. 2014 Diner En Blanc was a great time, along the Ave of the Arts on South Broad Street, but I gotta tell ya, going this year as press, was much more to my liking! 1. T&T: I understand you wanted DEBphl to be at the Art Museum in 2012, but had to do the next best thing and use Logan Square. Why was the Art Museum space so hard to obtain? Natanya DiBona: No, Logan Circle was always our number 1 choice for the first year..it's designed by a french architect, based on the Place de la Concorde in Paris (which also has served as the location of the Paris DEB), and sits at the beginning of the Parkway, the Champs-elysee of America! 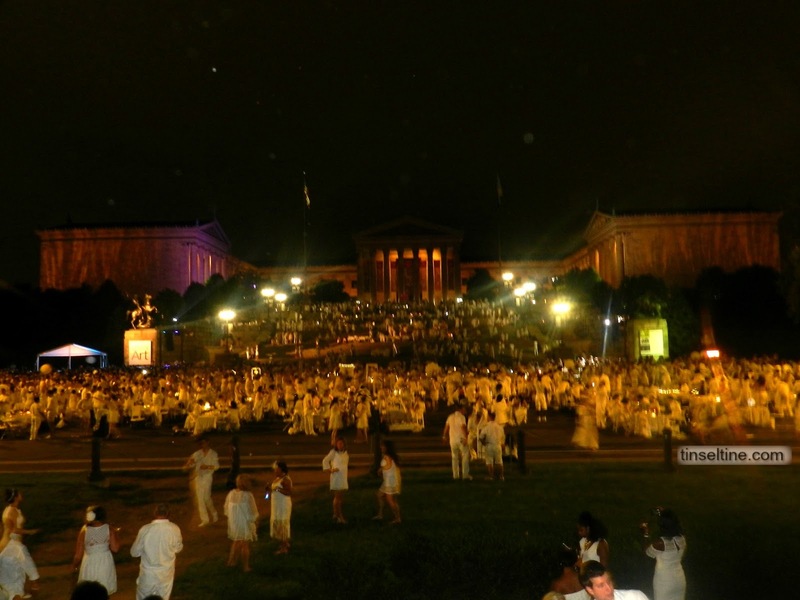 Logan Circle also has a 360 view of some of our city's most beloved arts and cultural treasurers, so we thought just one aerial picture of that first Diner en Blanc would say so much about Philadelphia. Not to mention, every one of our guests was guaranteed to have an amazing view. What you might be confusing this with is that I said we have had the art museum as the goal location for our year 5 event since 2012. 2. T&T: How involved are you with other Diner en Blancs around the country? ND: We are very friendly with the organizers of a few of the other cities. It's nice to be able to call them and ask an opinion or get feedback on an issue we are facing that they may have previously experienced and vice versa. 3. T&T: How do you respond to people like Brian Hickey of the PhillyVoice who scoff at Diner en Blanc, calling it elitist and pretentious? ND: I haven't read his piece, but every ticketed event whether it is a concert, sporting event or theater performance has a set amount of tickets it can offer. Our event is no different in that regard. Attendees from the event the year before can register for the following year, as well as sponsor a new person in Phase two. The last phase of registration, phase 3, is a lottery from our waiting list. We also offer volunteer opportunities that bring in new people. We also donate spots at the event to a variety of charitable organizations throughout the year that they auction off and we also give free spots away through contests. This year we had 5 contests to mark our 5th event. So there are a variety of ways we reach new people every year. T&T Note: To my mind, Diner en Blanc is far from being elitist. It's not the country club set out to shun others; it's a very mixed crowd, as you'll see from my photo album, and the tickets are not expensive. I also don't like the implication that it has to be for charity or it's not a worthy event. There's nothing wrong with charitable events, but there's absolutely nothing wrong with just celebrating summer, lights, spectacle and the city of Philadelphia! 4. T&T: Will you continue to expand the number of guests or is 5000 the limit? ND: The concept of the event is that it grows each year. The Paris event has been happening for 28 years- it's expanded to up to 12,000 people and is often held in two locations. So, we went into this knowing that we would grow and each year we decide that amount based on what we think we can responsibly execute. This year's event was planned by our 10 person planning team and executed by 155 group leaders, table hosts and on site volunteers. We have an incredible group and this event would absolutely not be possible without their dedication, hard work and passion for the event. So, we will get their feedback from this year and decide where to grow from here! 5. 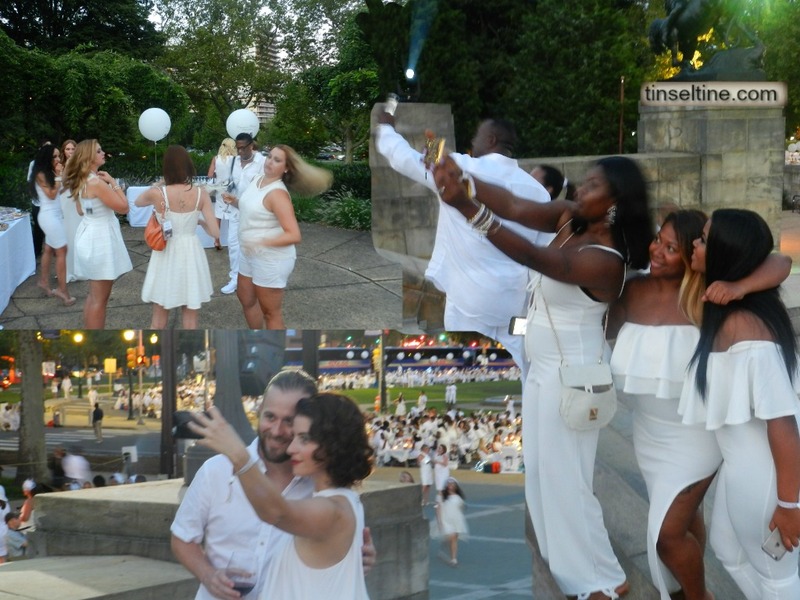 T&T: Name a small part of each phase (planning, night of, day after), something the average person wouldn't think of, that you enjoy or is your favorite part of Diner en Blanc in Philadelphia. ND: Planning - Getting to know our volunteers each year. Many have been volunteering since 2012 and they feel like family...there is an incredible community that is built through this event. ND: Night of - Seeing your vision come to life. Kayli (Kayli Moran is the other half of the team behind DEBPHL) and I begin thinking of the next location almost immediately after the event and then design a presentation once we decide on our first choice. That presentation guides us for months as we plan and it is incredible when you see it unfold. Last night was particularly emotional for us as we looked out at the event from the steps. ND: Day After - Looking through Instagram to see all of the incredible things that happened at the event through the lens of our guests.